Jett and West may never have come together without the assistance of Hollywood music producer, Kim Fowley. Legendarily eccentric Fowley, the original “Mayor of the Sunset Strip” — who trolled its nightclubs with DJ Rodney Bingenheimer — hit upon the idea of creating an all-girl band after meeting 14-year-old lyricist, Kari Krome. Since Krome could neither play nor sing, Fowley recruited musicians. But, as music writer and journalism professor, Evelyn McDonnell tells it in her book, Queens of Noise, The Real Story of the Runaways, “few girls were picking up electric guitars and drumstick in the mid-‘70s.” And when they did, as Fowley discovered, the public’s response would be less than exultant. 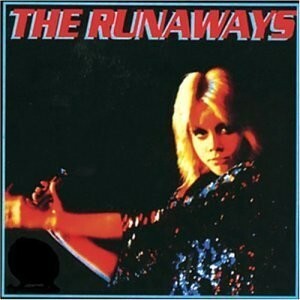 During its three-year lifespan, The Runaways were never much more than a cult band. Three decades later, the release of Floria Sigismondi’s eponymous biopic brought the band wider acclaim. But the 2010 film, which focused on Jett and Currie (played by Kristin Stewart and Dakota Fanning) to the exclusion of the other players, was based almost solely on Currie’s memoir, Neon Angel. As such, it bears the flaw of all movie biographies — mainly, that a lot has to be jettisoned to squeeze a lifetime into in 90 minutes. McDonnell’s book remedies those omissions with dozens of interviews conducted with the entire cast of players, including women who auditioned and didn’t make the cut, those who did briefly and left, former managers, roadies and a variety of people who were part of the 1970s music scene in Los Angeles. What emerges from her investigation is a story more complete, messier and more heartbreaking than Sigismondi’s truncated script could contain. Neither deal was in the ultimate best interests of the adolescents. 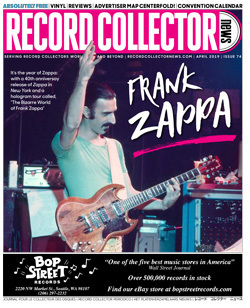 Then again, the story of exploitation in the music business is hardly unique. 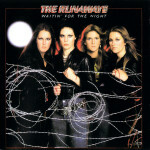 The Runaways signed a publishing contract with Peer Music in 1976. (L-R) Front row: Jett, Fox, Ford and Currie. Back Row: Ralph Peer, Fowley, manager Scott Anderson and West. In June of 1977 the band went to Japan. It was a tour that would mark their greatest triumph as well as their undoing. In Tokyo, where the song “Cherry Bomb” was number one, they were given the full Beatlemania treatment by thousands of plaid-skirted schoolgirls. This was exhilarating to some members and terrifying to others. Fox suffered a meltdown, due to infighting and overwork, and flew home before their gigs were completed. Currie, who had been the highly sexualized, focal point of the Japanese media, quit soon after Fox. 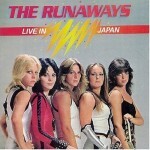 The Runaways Live in Japan would be their last album as a quintet and remains a testament to their legitimacy as musicians. 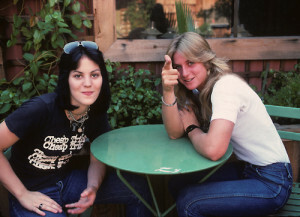 Whatever path these former teen stars took to adulthood, The Runaways experience has refused to release them from its thorny, emotional grip. 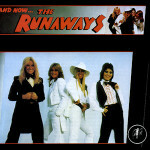 For over three decades, acrimonious lawsuits regarding rights to the band’s songs, name and likeness and monies owed have raged between the women — in ever-shifting alliances and enmities — and between the women and Fowley. To this day, “all the members are wary, suspicious and defensive — aggressively so,” writes McDonnell. 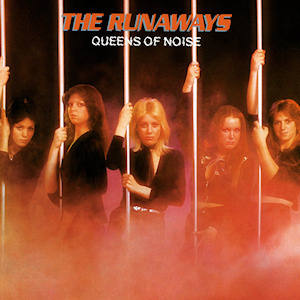 Queens of Noise, The Real Story of The Runaways, Da Capo Books, available wherever books are sold. 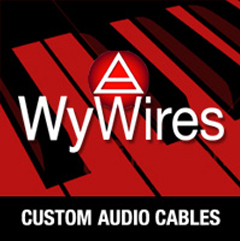 During the band’s tenure they made five albums. 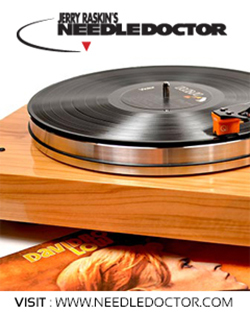 Numerous post-breakup compilations have been released in the U.S. and overseas. But these are the original vinyl releases.